Gas butane is widely used in industry, agriculture and the food industry. Of butaneand its isomers get butyric acid, butanol and other substances that are used in unchanged form or as raw material to produce other chemicals. There are three methods of obtaining this gas. 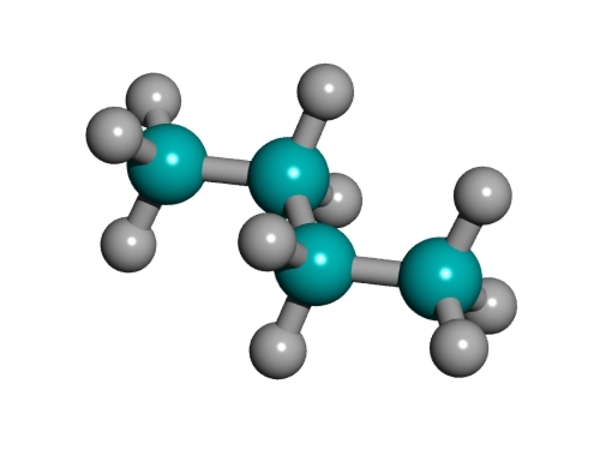 Butane is an organic compound belonging to the class of alkanes. It is a colorless flammable gas that is highly soluble in organic solvents, but insoluble in water. It is contained in petroleum products and natural gas. From Bhutanand there are isomers withbutane and n-butane. This gas is used in industry and agriculture. When burned it decomposes to carbon dioxide and water. Butane has low toxicity, but affects nervous and cardiovascular systems. Therefore, when working with the Bhutanom not to inhale the fumes and avoid its contact with skin and mucous membranes. The butane is produced in three ways. The first of these, the most common is the use of reaction burza. The second method is the hydrogenation of alkynes to alkanes. The third is the dehydration of alcohols in the presence of a catalyst to butene, which is then subjected to hydrogenation. The first of these reactions allows to Bhutan directly, while others are multi-stage. A third process of obtaining butaneand is also multistage. The first step involves the dehydration of butyl alcohol in the presence of Al2O3 at a temperature of 300-400oC:CH3-CH2-CH2-CH2-OH → CH3-CH2-CH=CH2 (Al2O3; 300 - 400 ° C)Dehydration of butanol is it is dry. It is possible at high temperature and in the presence of catalysts (Al2O3; H2SO4).Received from the previous reaction 1-butene, it is hydrogenated at a hydrogen radical to butane:CH3-CH2-CH=CH2 → CH3-CH2-CH2-CH3 (Hydrogenation at H2)All of the above methods allow to Bhutan in its purest form. Most often for the gas uses the first of them, however, in some cases, find use and others. Do not inhale gases. Observe fire safety measures.